Hi everyone – Welcome to week 1! I know a lot of you have been very eager to start this CAL, and I have been too! This is my first ever CAL that I will be hosting! Please be patient with me if there are any issues – don’t hesitate to contact me with questions! 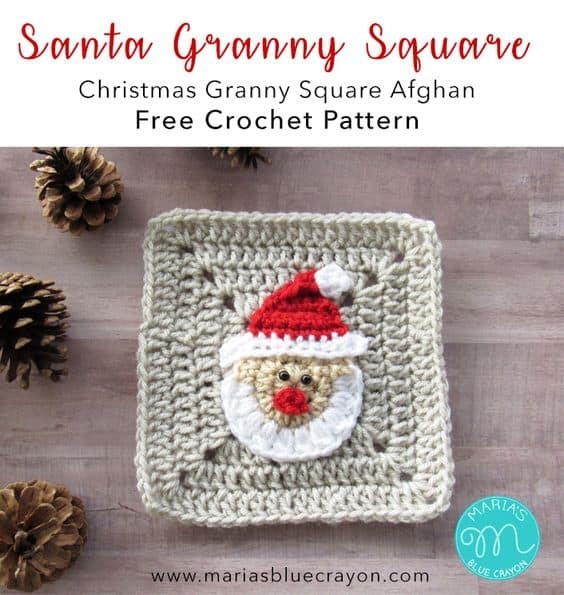 This week we will be working up 8 granny squares and the Santa Claus applique. If you would like to purchase the complete afghan pattern, you may do so here on Ravelry. You may need to disable your ad-blocker if you are unable to access the video tutorial below.